We have an awesome sale on Schick ST2, 12 pk disposable Shavers at Harris Teeter this week. Through 5/16, they are on sale for just $4.99! 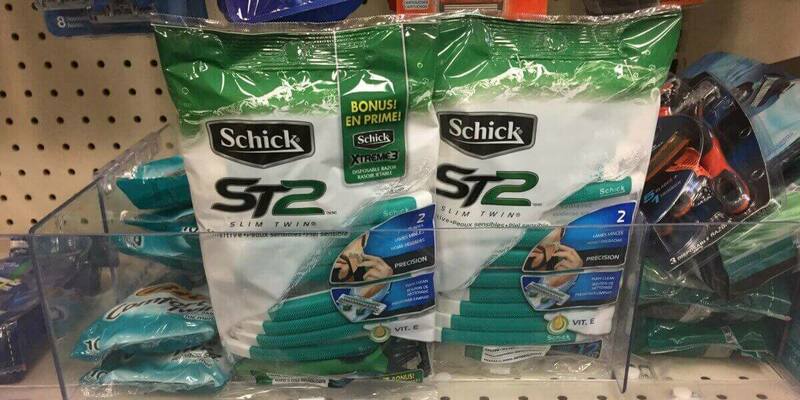 We also have a $3/1 Schick Disposable Razor Pack (excludes 1 ct. and Schick Slim Twin 6 ct.), available for this deal! You can pick up these Men’s Razors for just $1.99 after coupon! Woot Woot! That’s just $0.16 per razor! Also a great donation item! Pay Just $1.99 after coupon! Rachael Ray Nutrish Dog Food Only $2.45 at Dollar General!